A trade promotion service center has been established in the China (Shanghai) Pilot Free Trade Zone to assist enterprises in facilitating foreign trade, two-way investment. A trade promotion service center has been established in the China (Shanghai) Pilot Free Trade Zone to assist enterprises in facilitating foreign trade, two-way investment, international production capacity cooperation and international operation. The center under the China Council for the Promotion of International Trade (CCPIT) is dedicated to providing comprehensive commercial and legal service and promoting trade and investment for the Shanghai FTZ. It will also help the administrative committee of Shanghai FTZ to build Shanghai Asia-Pacific intellectual property center and Shanghai international shipping center. 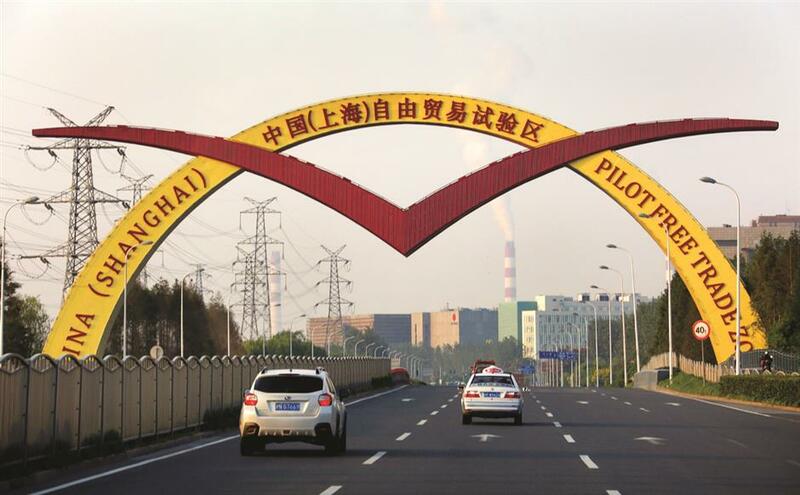 A memorandum of understanding has been signed between the CCPIT and Pudong New Area for the promotion of the construction of the Shanghai FTZ. The service center is a comprehensive, integrated and one-stop service platform tailored to the needs of Shanghai FTZ in commercial and legal services and trade and investment promotion with the support of the Pudong government and the administrative committee of Shanghai FTZ. The unveiling of the service center signals a new step for CCPIT and its subcouncils in deep involvement in Shanghai FTZ development. Since its foundation 65 years ago, CCPIT has been devoted to promoting communication between Chinese and foreign business communities, promoting foreign trade, investment and speaking for the business community, thus serving the country, the industries and the enterprises. As a trade promotion body of the Chinese government, CCPIT is rich in the knowledge of international commercial rules as required by the Shanghai FTZ to become a world-class one, with liberalized trade and investment, no hidden or opaque rules, fair and efficient supervision, as well as a convenient business environment by 2020. Two of the council’s subsidiaries, CCPIT Patent & Trademark Law Office (CCPIT Law Office) and the China International Economic and Trade Arbitration Commission (CIETAC), are among the earliest on the mainland to be extensively involved in or serve international business transactions as a third party. The CCPIT Law Office provides prosecution, litigation, administrative enforcement, transactions and consultation services relating to patents, trademarks, copyright, trade secrets, trade dress, domain names, anti-unfair competition, licensing and other intellectual property-related matters. The CIETAC resolves economic and trade disputes by means of arbitration. It provides an online dispute resolution service to the parties and is engaged in research on the online resolution of e-commerce disputes. Hence, CCPIT is the right one to provide professional third party services through the center amid a plan released by the State Council, or China’s Cabinet, to set up a mechanism in line with the international investment and trade rules in the Shanghai FTZ by 2020. Meanwhile, Shanghai’s first intellectual property protection center was established months ago in Zhangjiang Hi-tech Park, to shorten the patent application process and enhance protection. The China (Pudong) Intellectual Property Rights Protection Center helps to halve the application process by 15 months. Previously, applications had to be lodged with the State Intellectual Property Office in Beijing, a process which could take up to two and a half years. The center hires an expert panel to improve patents before submitting them to the national office. Those submitted through the Pudong center will also enjoy a faster “green channel” in Beijing. At present, the center offers fast access on high-end manufacturing and bio-pharmaceutical industries for Pudong-based companies from both home and abroad. The service will expand later. A complaint channel and a range of mechanisms will be established by the center to protect intellectual property rights, including fast response mechanism of complaints, a multiplex mechanism of disputes solution, and an online rights protection mechanism of competitive industries. The center will also initiate coordinated and cooperative actions to protect intellectual property rights in all industries. They will investigate and penalize illegal practices on patent, trademark and copyright. They will also carry out special law enforcement operations, and promote fast response to infringement of IPR in key fields, areas and markets. In such cases, the center will work with the Shanghai intellectual property court (the No.3 Intermediate People’s Court of Shanghai) to enhance the protection.